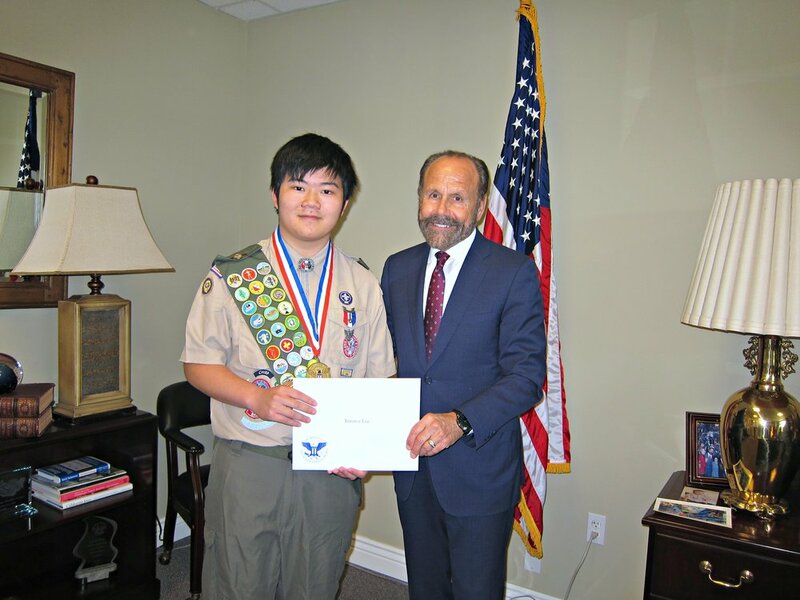 On April 10th, 2017, Senator Jerry Hill invited Presidential Volunteer Service Award recipients from EqOpTech to his District Office in San Mateo to attend an award ceremony. The Presidential Volunteer Service Award ("PVSA") recognizes, celebrates and inspires community service leaders and volunteers to make an impact to change the world. EqOpTech, a PVSA certifying organization, shares a similar vision to empower and enable student volunteers with a platform to gain real-world experience and leadership skills and inspires them to give back to the community. 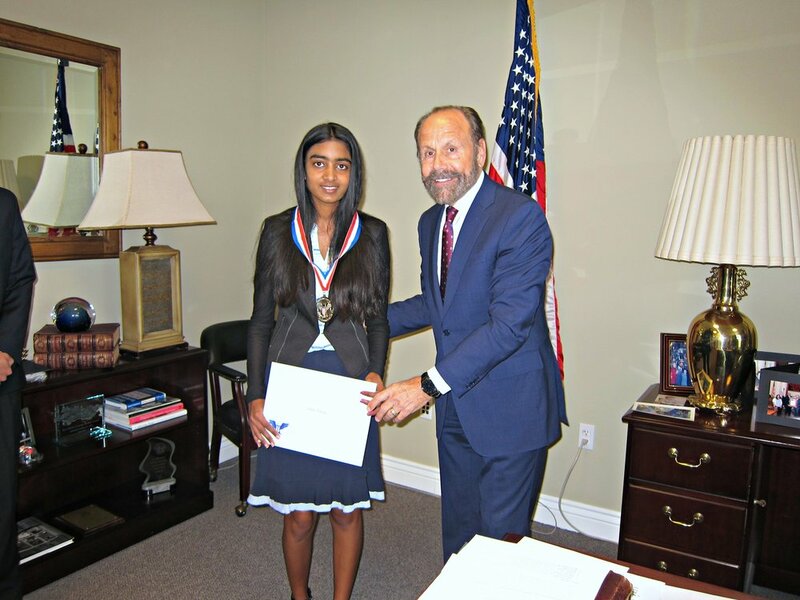 Senator Hill proudly presents to the following well-deserving students with the official PVSA medallion, personalized certificate of achievement together with a congratulatory letter from President Obama. During the presentation, Senator Hill proclaims and commends each awardees for their service and commitment to the community in the area of technology and education. "Thank you to EqOpTech's PVSA volunteers for your passion, leadership and service in improving our under-served communities", said Terence Lee, Founder of EqOpTech. "Your recognition inspires others to make an impact to change the world!" 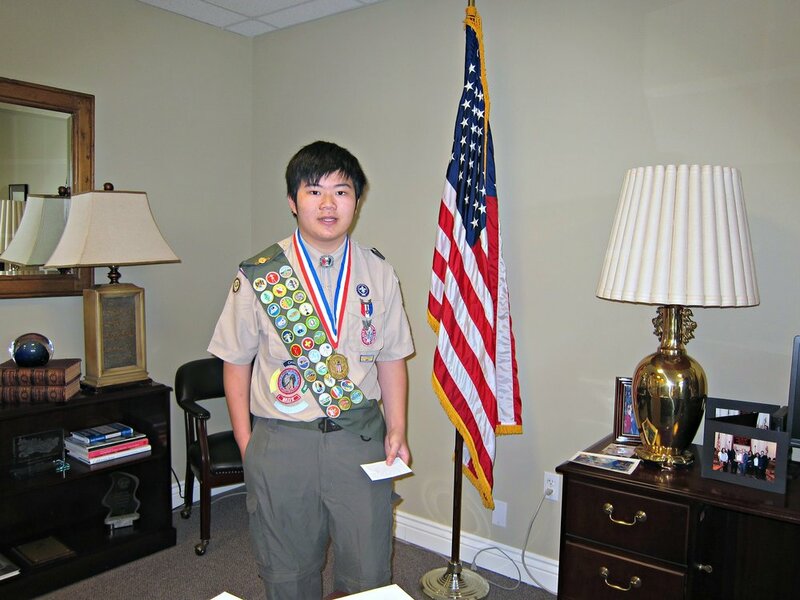 "Participating in the PVSA program has been a rewarding experience for everyone, both recipients and certifying organization. This award has helped further our goals as a nonprofit acting as incentive by inspiring our volunteers to go beyond what they would normally do and as a result have learned and developed greatly." Lee said. He also thanked Senator Hill and Ms. Lisa Chung for hosting and organizing this ceremony and the recipients for putting in both the time and the effort to earn this prestigious award. EqOpTech Inc. is proud to serve as an official certifying organization for the President's Volunteer Service Award. PVSA is offered to EqOpTech staff and volunteers of different age groups and each level corresponds to a different number of service hours within a 12 month period. Levels include bronze, silver, gold and the highest honor, the President’s Lifetime Achievement Award. For Award Criteria, please visit here. For more information on hours requirements, visit the President's Volunteer Service Award webpage or e-mail eqoptech@gmail.com. The President’s Volunteer Service Award recognizes, celebrates and holds up as role models Americans making a positive impact as engaged and deeply committed volunteers. In 2003, the President’s Council on Service and Civic Participation launched the President's Volunteer Service Award to recognize the importance of volunteers to America's strength and national identity, and furthermore, to honor the deeply invested volunteers whose service is multiplied through the inspiration they give others.